This is the story of Raul, a boy of few words, fewer friends, and almost no family. He is a loner—but he isn’t lonely. All week long he looks after the younger boys at One Of Our Kind Boarding School while dodging the barbs of terrible Tuffman, the jerk of a gym teacher. Like every other kid in the world, he longs for Fridays, but not for the usual reasons. As soon as the other students go home for the weekend, Raul makes his way to a lighthouse deep in the heart of the woods. There he waits for sunset—and the mysterious, marvelous phenomenon that allows him to go home, too. But the woods have secrets . . . and so does Raul. When a new kid arrives at school, they may not stay secret for long. New kid. New kid. The words fly around the showers and sinks. I can almost see them, flying up like chickadees startled from the holly tree in the woods. All the boys are in the big bathroom on the second floor, washing up before breakfast. The littlest kids stand on tiptoe to peek out the windows that look onto the circle driveway. I pick Sparrow up and hold him so he can see. He’s the littlest of the littles but the kid is dense–like a ton of bricks. I can’t believe my eyes. No kid has ever come to the school on the back of a Harley. Not in all the years I’ve been here, and I’ve been here longer than anyone. The driver spins the back wheel and a bunch of gravel flies up. The new kid is holding onto the waist of the driver. He must have a pretty good grip because the driver looks over his shoulder and tries to peel the kid’s fingers away one by one. Then the driver takes off his helmet. We all gasp, because it turns out the driver is a lady with long straight black hair. Mean Jack thinks he’s a mobster. A made man, that’s what he calls himself. I call him a numbskull, but not out loud. 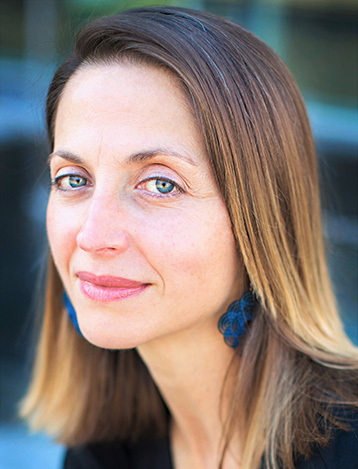 Sandra Evans is a writer and teacher from the Pacific Northwest. 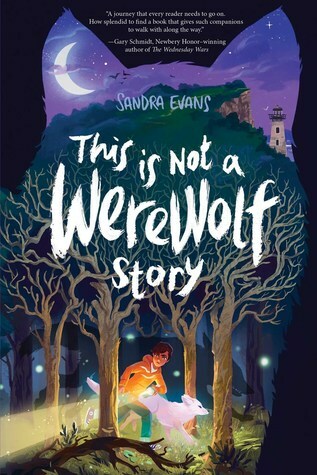 Her forthcoming middle grade novel, This is Not a Werewolf Story (Simon & Schuster July 2016), was inspired by her favorite 12th century French tale, Bisclavret, by Marie de France. Born in Washington state, Sandra spent her childhood on U.S. Navy bases from Florida to Hawaii, and returned to the Northwest as a teenager. Since then, she has lived and traveled in France and Europe, but has never strayed far for long from the Puget Sound region.